Jump with Jill takes childhood obesity by storm, serving as a kid-appropriate approach for kicking off wellness initiatives, reinforcing classroom learning, and supporting a healthier cafeteria menu. 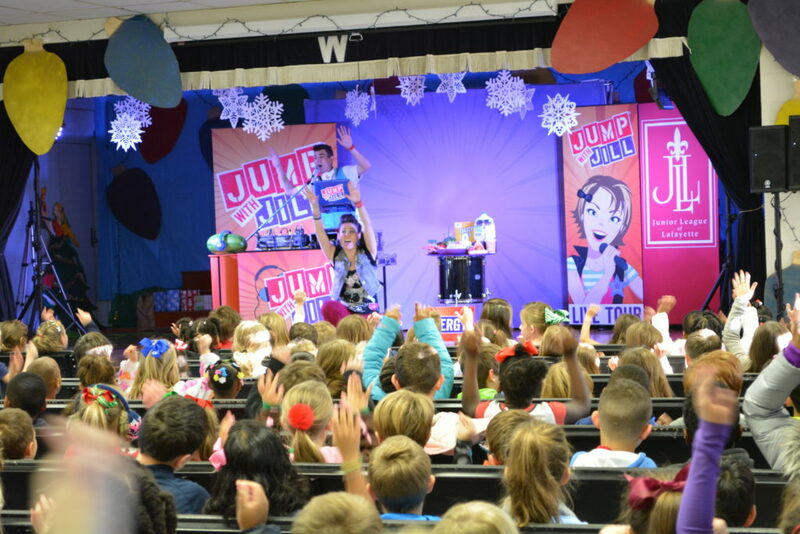 The Jump with Jill show, which Junior League of Lafayette brings to various local schools, has been performed live over 1,000 times for 250,000 kids all over the United States and Europe and has been featured in national media outlets including Nickelodeon, Sprout, PBS, NPR, and The Washington Post. 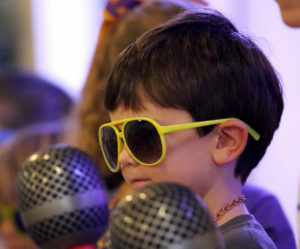 The show is both educationally sound and completely rock & roll! Armed with catchy songs, upbeat dance moves, and a hip wardrobe, Jump with Jill uses the same tools normally used to sell junk food and keep kids sedentary to get kids engaged, moving, and learning about healthy habits. Not only does Jump with Jill get kids rockin’ and learnin’, the messages translate into measurable behavioral improvements. These changes include an increase in physical activity and water consumption, and a decrease in soda consumption. Even seven months after seeing the show, kids could still recall the messages, particularly about the importance of physical activity. The results seen with a one-time Jump with Jill show are very impressive especially considering that Jill is competing with the well-funded, unhealthy advertisements kids see on a daily basis. Click here for Jump with Jill kids activities, nutrition resources, and more!